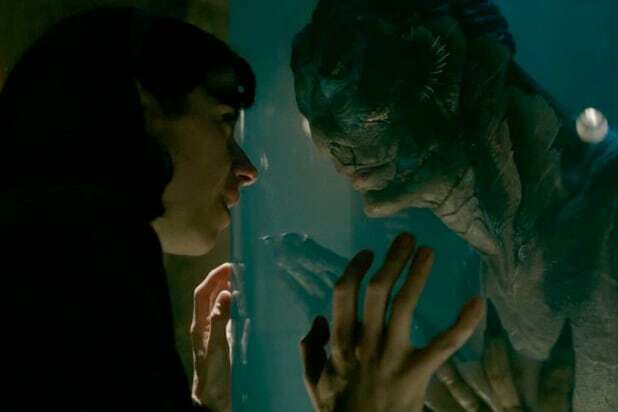 Guillermo del Toro’s whimsical period romance about a custodial worker and fish-man hybrid who fall in love stacked 13 Oscar nominations on Tuesday morning, more than any other film this year. 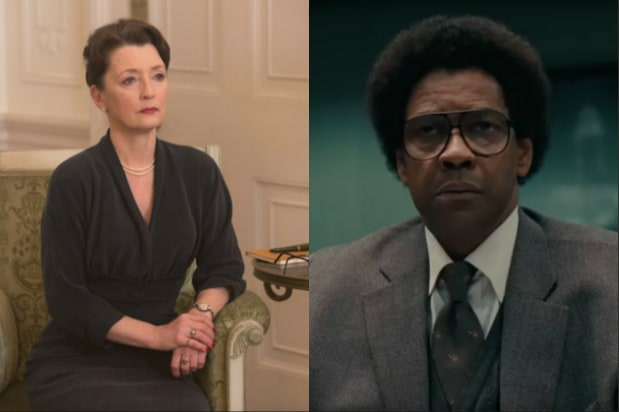 Those nods included Best Picture, Best Director for Del Toro, Best Actress for Sally Hawkins, and Best Supporting actor and actress for Richard Jenkins and Octavia Spencer, respectively. It also landed a healthy mix of below-the-line categories like Best Original Screenplay, Best Production Design and Sound Mixing. Trailing behind was Christopher Nolan’s “Dunkirk,” with eight nominations in categories including Best Picture, Best Cinematography for Hoyte van Hoytema, Best Film Editing and Best Director. Martin McDonagh’s controversial “Three Billboards Outside Ebbing, Missouri” rated seven nominations, including Best Actress for Frances McDormand and Best Supporting Actor for Sam Rockwell. As predicted since its thunderous opening last February, Jordan Peele’s “Get Out’ shook the AMPAS establishment’s trees and here’s what fell out: Best Original Screenplay and Best Director for Peele, and a Best Actor nomination for his lead actor Daniel Kaluuya. Greta Gerwig joins only four other women ever to be nominated for Best Director, for her drama “Lady Bird,” for which she also got a Best Original Screenplay nod. The film, produced by Scott Rudin, is also up for Best Picture. “Phantom Thread,” a late-breaking player from Paul Thomas Anderson this awards season, earned an impressive six nominations, including a surprise Best Supporting Actress entry for Lesley Manville. The film’s star Daniel Day Lewis contends it his last film ever. At 88 years old, Christopher Plummer becomes the oldest acting nominee to date. He remains the oldest acting winner, having won for his supporting role in Beginners (2011) at the age of 82. “The Shape of Water” is the tenth film in Oscar history to earn thirteen nominations. The current record of fourteen nominations is held by three films, “All About Eve” (1950), “Titanic” (1997) and “La La Land” (2016).